Buses offer a convenient mode of transportation for various situations. 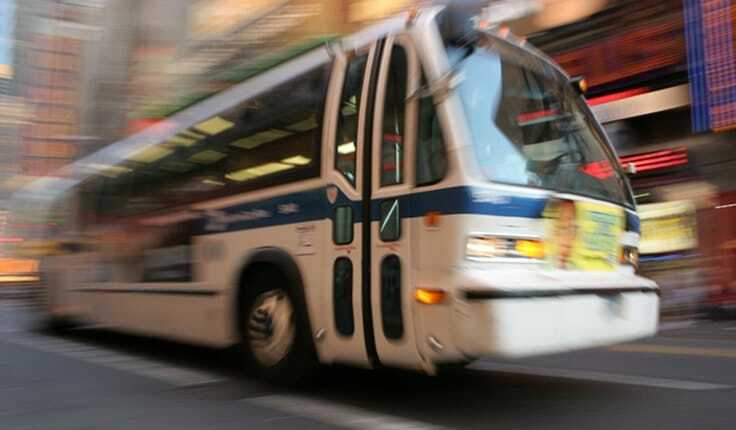 Whether traveling long distance on a charter bus or taking a quick trip across town on a city bus, people board these vehicles with the expectation of reaching their destination safely and without incident. Unfortunately, bus accident injuries are common occurrences, resulting from a variety of mechanical and operator complications. The lawyers of Harris Lowry Manton LLP have successfully handled numerous bus injury cases in Georgia. If you or a family member was injured in a bus crash, trust our experienced Atlanta bus accident lawyers to fight for you. Reckless driving. It is the responsibility of bus drivers to operate the vehicle in an adequate and secure manner. Negligent or reckless driving can result in serious injuries. Driving under the influence. Driving under the influence of alcohol or drugs places passengers and others on the roadway in danger. This includes certain prescription and over-the-counter medications that can impair the operator. Defective bus equipment. As with any vehicle, there is always the possibility of design and manufacturing defects that can cause accidents and injuries. Improper bus maintenance. Bus owners and managers have a duty to maintain their vehicles in a safe manner. Failure to meet this duty can lead to injury. Our knowledgeable Georgia bus accident lawyers successfully handle a variety of bus accident cases. We have the resources to conduct comprehensive investigations and secure credible assistance from engineers, industry experts, and medical professionals. The bus owner. The bus owner is responsible for keeping the bus in adequate working order. The management company. If a third party manages the bus, the company also holds a duty to maintain its mechanical safety. Bus equipment manufacturers. Each part of the bus works together to ensure its proper working order. Any defects in the design or manufacturing of a part can result in liability. Government entities. If the bus operates as part of a public transit system, the local or state government may bare some liability for resulting injuries. These cases can prove particularly challenging, due to the extensive legalities of suing a government entity. After a bus accident, our lawyers have successfully handled claims against the responsible parties. We navigate the legal process, so you can focus on healing your injuries. The Georgia bus accident attorneys of HLM routinely secure high–value verdicts and settlements for their bus accident clients. Our extensive experience in these cases makes us a desirable choice for legal representation. Put our impeccable skills to work in your bus accident case. Call our Atlanta office at 404-998-8847 or our Savannah office at 912-417-3774, or complete our contact form to schedule a free initial consultation.